On January 17, the National Liberation Army (ELN) attacked the General Santander Police Academy in Bogota, resulting in 21 deaths and more than 70 wounded. Beyond the sheer number of victims, the attack is notable because it targeted a well-protected facility in the heart of the Colombian capital. In the wake of the attack, the government definitively ended the faltering peace negotiations with the ELN in Cuba. First unconfirmed media reports of the attack attributed it to the ELN. Subsequently, in a statement on its official website, the ELN stated that the bombing was a legitimate act of war and a response to the government’s attacks on the movement’s camps during a unilateral ceasefire declared by the movement for ten days at Christmas. In a widely circulated video, Pablo Beltrán a member of the Central Command (COCE) of the ELN and spokesperson for the movement’s Cuba-based negotiating team, explained that the negotiators there had no role in the planning of the attack because of assurances given to the Cuban government that they would not engage in any such actions while based in the country. Nevertheless, Beltran argued that the attack was a legitimate response to the recent actions of the Duque government. The ELN is a Marxist-Leninist insurgent movement, emerging in the 1960s in the midst of the Cold War and the aftermath of the Cuban Revolution. Its founding members were initially of Liberal political orientation, but after returning from a training course in Cuba, where they witnessed some of the initial successes of the Cuban revolution, they became convinced supporters of the Cuban line. It launched its first attack in January 1965 and its approach resonated with some peasant organisations and it quickly became popular in the university milieu. 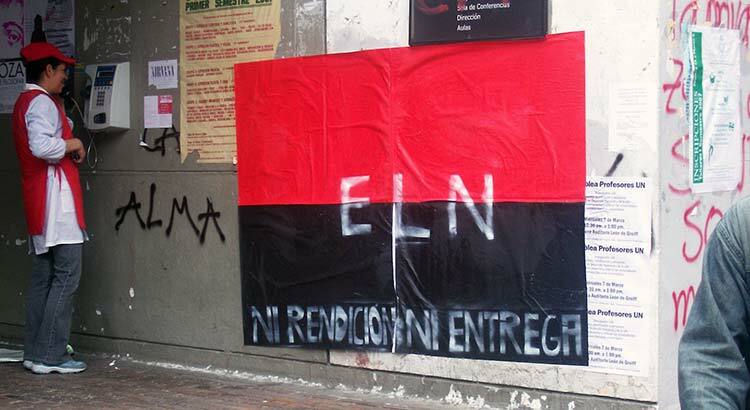 The ELN currently has a presence in many parts of the country, especially in the Pacific region of Chocó and in the eastern region of Arauca along the Venezuelan border. It is estimated that the ELN has 2000 guerrillas and a significantly larger part-time militia. It has been involved in multiple attacks on the oil and electricity infrastructure across the country, and has undoubtedly, along with other armed actors, taken advantage of the void left by FARC after its de-mobilisation following the signing of the peace agreement a little over two years ago. At different times, since the 1990s, the ELN with the support of countries such as Mexico, Germany, Venezuela, Ecuador, Cuba and Norway have engaged in peace talks, none of which resulted in the signing of any agreement. The most recent talks were perhaps a definitive opportunity to achieve a negotiated solution, until they were derailed by the latest developments. Currently, the ELN’s territorial presence and armed capacity is greatly reduced compared to times past. Nevertheless it retains a substantial ability to determine whether Colombia can avoid slipping back to diffuse insurgent violence. The ELN peace process began with the government of former President Santos in February 2017, based in Ecuador. However, in April 2018 Ecuador withdrew from its role as mediator and the talks were transferred to Cuba. The negotiations, following the model of the talks with FARC and former President Santos, had been under strain due to the approach of incumbent President Duque since his inauguration on August 7, 2018. As a pre-condition for initiating negotiation, he demanded that the ELN release all hostages and suspend all actions. Duque further paralysed the talks by refusing to appoint a government negotiating team and gave the order to attack the guerrilla camps despite the unilateral ceasefire declared by the ELN between December 23 and January 3. In response, the movement suspended the truce and resumed violence, culminating in the attack on the police academy in Bogota. The immediate reaction of the government and President Duque was to completely suspend the peace talks and demand the Cuban government detain and extradite the ten members of the ELN’ negotiating team: a breach in the protocols mutually agreed to facilitate the discussions. Duque argued that the protocols had been simply a government policy (the Santos government), and not official state policy and therefore they are not mandatory in character, leading to tensions with the process’ international facilitators, Cuba and Norway. In an interview with Radio Publica del Ecuador, Dario Villamizar, an expert on insurgent movements in Colombia, explained that the absence of a bilateral ceasefire agreement will lead to greater confrontations and a consequent escalation of the conflict in Colombia. The repercussions on all facets of Colombia’s society of such a return to open conflict are completely unpredictable: once again postponing the hopes of the stable and lasting peace anticipated with the signing of the FARC peace deal. There has been a substantial resurgence of political violence notwithstanding the peace agreement with FARC, in particular the vicious murders of a range of social leaders. A publication by a human rights organisation, Indepaz, outlines the extent of the killings, as does a column in El País by Juan Cardenas, titled: Economy of extermination. Cardenas argues that those who order the assassinations of social leaders in Colombia are seeking to destroy the ideas, the knowledge and the very future of the affected communities. Colombian society has become increasingly polarized and politicized, leading to committed demands for a definitive change in the way peace building is handled but also how the country’s development is manged more generally. This was manifested in the last elections characterised by a substantial important reduction of abstention: although the militarist right-wing candidate Iván Duque obtained 53.98% of the votes, an unprecedented 41.81% was achieved by Gustavo Petro, a left wing candidate strongly in favour of the peace process. There have additionally been a series of massive student marches, anti-corruption demonstrations – including a popular consultation in August 2018 – the daily monitoring of different aspects of the Odebrech scandal which has led to the widespread demand for the resignation of the attorney general. The ELN contains factions determined to militarily seize government power, as well as factions which prefer enhanced negotiations, further civil society participation and a commitment to environmental protection (notwithstanding the environmental damage caused its bombing blasting of oil pipelines and energy towers), a stronger focus on underlying economic and political issues and to the victims of violence. Arguably, it is the ELN’s poor embedding in society that leads it to engage in disproportionate attacks such as that on the police academy. Indeed, it has been suggested that the attack reflects the mentioned internal tensions within the ELN between elements that support continuing down a military route and others more hopeful of a negotiated settlement. The position of the incumbent government is problematic: it ignores the country’s recent history and refuses to engage with negotiations opportunities, is unwilling to accept that negotiations, by definition, involve listening to adversaries’ demands or to accept interim measures of reciprocal benefit to both parties as part of the process. Instead, it prefers the view that victory can be achieved by military means and that peace can be imposed in triumph. Regarding the ELN, this behaviour is manifested in the freezing of the dialogues with the ELN last year and by attacking guerrilla camps during their unilaterally declared ceasefire. In conclusion, we echo Villamizar’s observation that all conflicts end up at the negotiating table. In such a process, civil society plays an important role by pressuring the relevant actors to resume dialogue and declare the bilateral ceasefire which is an immediate necessity to rebuild and establish trust. The role of the international community is also fundamental; by a close engagement with the situation it can help defuse the political tension and encourage both sides to modify their bellicose stances and combative discourses. Moving past the belligerence of both sides, it is undeniable that negotiations result in better outcomes than conflict does. The breakdown of the process has dragged Colombia back into the drudgery of war. Unfortunately, peace was short. 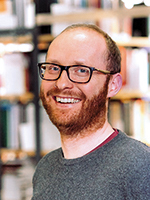 Francis O'Connor is a Senior Researcher at PRIF. His work focuses on the relationships between armed movements and their supporters in Colombia and in Turkey. Gory Suarez is a Bogota based anthropologist, specialised in the de-mobilisation of child guerrillas and paramilitaries.